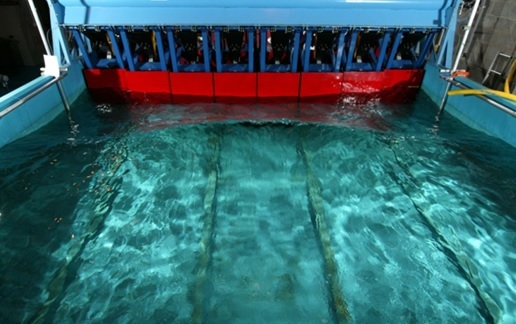 The facility has its own fully automated wavetank which is used to test wave energy devices and structures which have to operate in an intermediate/shallow water wave environment. Typical test scales vary between 20 and 100:1 depending on the experimental requirements. Synchronised video is used to capture significant events which are of interest and can therefore be linked to what load, pressure and performance they generate. OEC operate it own quality assurance system.